The New York Yankees will have five potential shortstops in camp this spring in the absence of Didi Gregorius. Gregorius, who had Tommy John surgery in October, will be out until at least June though there is no timetable for his return at present. The Yankees have five possible shortstops on the roster going into Spring Training: Thairo Estrada, Gleyber Torres, Troy Tulowitzki, Tyler Wade and Kyle Holder. Cashman was lauded for landing Tulowitzki, whose reputation at shortstop prior to his injuries was elite; however, going into 2019, he’s certainly a question mark for the Yankees. Gleyber Torres will likely be the backup to Tulowitzki, sliding over to shortstop from his second base position on days when Tulowitzki is getting a breather. 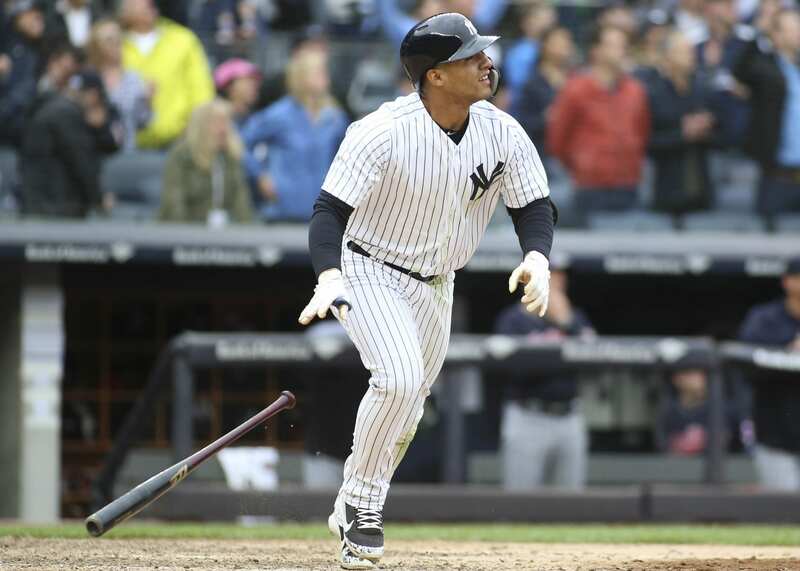 Torres played 21 games at shortstop for the Yankees in ’18, committing 5 errors with a .928 fielding percentage. However, this is the position he played most in the minors, taking on second base duties when he came up with the big club. Now that another elite player has joined the infield at second base, DJ LeMahieu, the Yankees have the flexibility to play Torres at short or at second with even better defensive replacements. Wade and Holder will likely vie for the final spot on the bench for the Yankees this spring. Wade, 24, has speed and is a solid glove man, and has had several seasons to impress off the bench, but lacks offensive firepower. In 2018, Wade hit .167/.214/.273 with 1 home run and 5 RBIs in 70 plate appearances. Holder is a non-roster invitee to Spring Training, whose lefty bat would be a welcome addition to the line up. It is unlikely Holder would see any action with Yankees unless injuries strike. Thairo Estrada, who was injured much of last season, beginning with a gunshot wound in the hip during the offseason, was added to the 40-man roster in November of ’17 and had progressed into a legitimate prospect at shortstop, according to George King in Baseball America, hitting .301/.353/.392 in 122 games at Double-A Trenton in 122 games in 2017. Estrada, who played in only 18 games in 2018, picks up where he left off in 2017, hopefully healthy and progressing at the rate that had been predicted for him before the unfortunate injuries of last season. Fans don’t expect to see Estrada with the big club in 2019. Of course, all of this changes if, in the coming days, the Yankees sign Manny Machado, who, it has been rumored, has a 7-8 year $220million offer from the Yankees. The addition of Machado would clarify any question marks for the Yankees at short stop.